At the time of Chairman Mao Zedong’s death in 1976, Christianity in China seemed on the verge of extinction. Less than four decades later though, not only has Christianity in China not disappeared, but by some estimates there’ll be more Christians in China come the year 2030 than in any other country in the world! According to his estimates, by 2030 there’ll be 247 million Christians in China. While that will represent less than one-fifth of the population, it may– depending on how you count who is a Christian and who is not– be the largest Christian population in absolute terms in the world. And remember, China is officially an atheist state that routinely harasses and persecutes Christians who get out of line. This harassment is by and large an acknowledgment by the Communist government of Christianity’s ability to shape a culture. 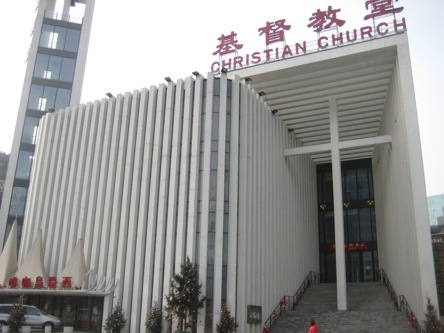 William Jeynes of California State University at Long Beach has written about how, on the one hand, Chinese officials are warily open to Christianity, because they see the link between Christianity and the West’s economic success. But on the other hand, they also see a link between Christianity and Western freedoms, which is why they try to control the practice of Christianity. While Chinese officials and scholars see these links, the West is increasingly blind to them. At the same time that the Telegraph was telling readers about the rise of Christianity in China, it was also reporting on the controversy over British Prime Minister David Cameron’s calling Britain a “Christian country” during remarks at the Easter Sunday reception at 10 Downing Street. Well, to put it mildly, that is a comically absurd reading of British history. Still, it reflects the opinion of many, if not most, opinion-makers in Britain and Europe. And if church attendance is any guide, it also reflects the beliefs of most Europeans. That leaves me wondering: is the United States closer to Britain or to China? How ironic is it that in this country, more and more, the faith of our Fathers is seen as the enemy of human freedom. Yet the Chinese communist leaders understand Christianity for what it is: a culture-shaping source of human freedom. And not only freedom. The West’s superiority in economics, education, charity, and even technology and science, can all be traced to Christianity and the Christian worldview. Philippians 2:9-11 — Therefore God exalted him (Jesus) to the highest place and gave him the name that is above every name, that at the name of Jesus every knee should bow, in heaven and on earth and under the earth, and every tongue acknowledge that Jesus Christ is Lord, to the glory of God the Father. Revelation 2:4-5 — Yet I hold this against you: You have forsaken the love you had at first. Consider how far you have fallen! Repent and do the things you did at first. If you do not repent, I will come to you and remove your lampstand from its place. A word of warning not only for the first century church in Ephesus (verse one), but also for today’s American and British churches. O Lord, convert the world– and begin with me.